One of the best parts of my job is spending Friday and the weekend visiting different parts of my constituency. I look in on schools and businesses, I meet residents, and of course I hold my monthly advice surgeries in both Sevenoaks and Swanley. Recently, I spent time focusing on healthcare and the challenges that our growing and ageing population will bring to Sevenoaks. We need more GP places and I believe a new medical facility in Dunton Green could help. This is not just about Dunton Green, though with the ongoing development at Ryewood this is a rapidly growing area. It’s a valuable opportunity to relieve the rising pressure on other surgeries, securing benefits for residents across Sevenoaks. I also met West Kent Clinical Commissioning Group which oversees our GP services. 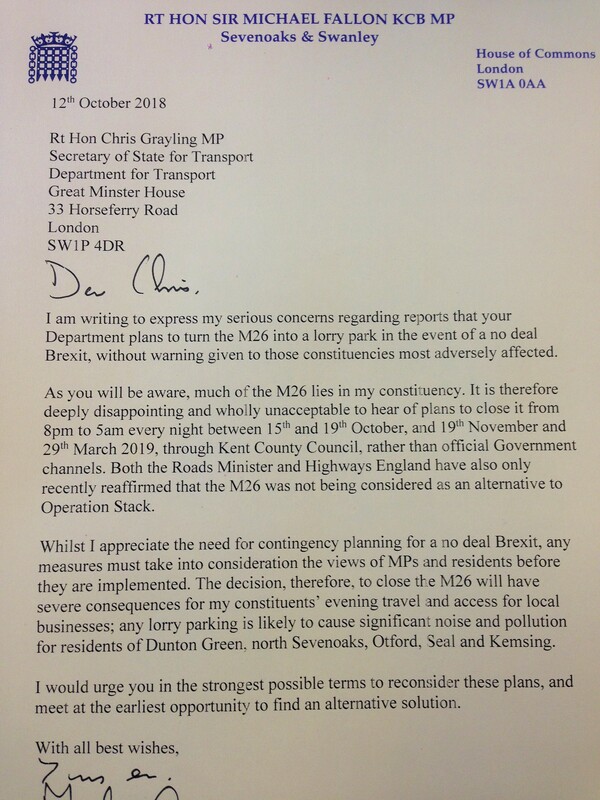 As they made clear, it is important to create a long-term plan for GP provision in Sevenoaks – but we must also deal with the immediate situation. Several local surgeries are already full and without timely action the situation could worsen. We also need to look again at Sevenoaks Hospital and make sure that we are making fullest use of all the services provided there. The NHS is much more than the big district hospitals like Pembury and Darent Valley; it works best where it’s local and loved. Michael has announced his support for the campaign to secure a local medical facility on the Ryewood Meadows development in Dunton Green. Michael said: “I am delighted to support this campaign. With a rising population, it is vital that NHS capacity increases to meet demand and this is a valuable opportunity to create a new facility.